Vasilisa (Vasya) is a both a child listening to Russian fairy tales and a young woman destined to become one of the greatest central characters in northern folklore. This is the story of Vasya's childhood and transition to adulthood: hearing and telling the tales of her elderly nurse, living with the cold and unloving stepmother who sends her out into snow on foolish errands, meeting the Frost King and surviving his challenges, taming a magical steed called Solovey ("Nightingale") and confronting the tyranny of Chernobog ("Bear"), the dark, cursed god. Densely written, the atmosphere of the Rus' is perfect reading for a sn*wy day. Some violence and bloodshed, minimal cussing, no nekkidness. Russian politics and linguistics are complex, priests are not always good guys, and all horses talk to those who know how to listen. 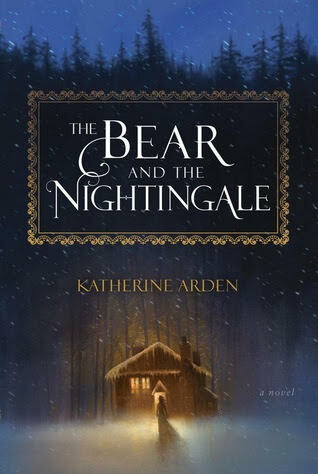 Highly recommended for lovers of folklore and fairy tales, ages 12 to adult. Book #2 of the series, The Girl in the Tower, was released December 5, 2017.